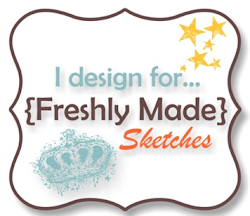 It’s time to play along with a new sketch at Freshly Made Sketches. Our hostess this week is Jen Brum. 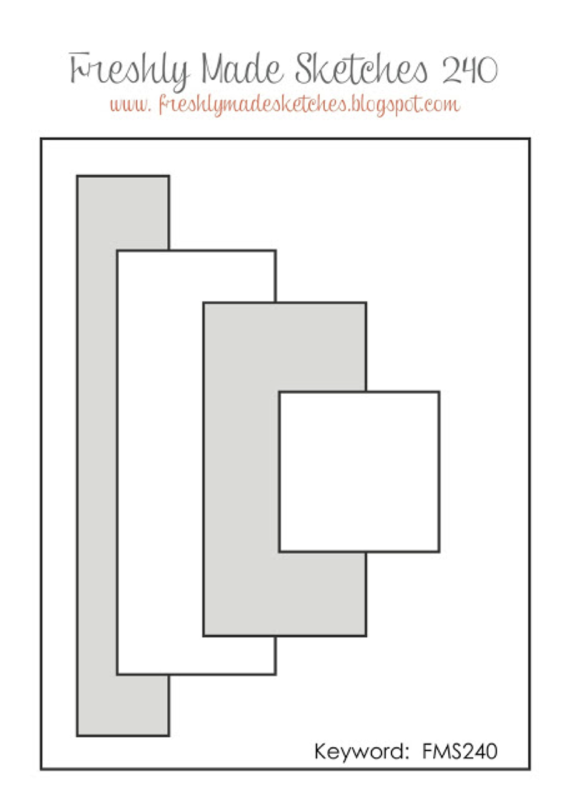 I adore Jen’s elegant and striking cards – head over to her blog and check them out. We would love it if you could join with this great great challenge. Head over to Freshly Made Sketches and take a look at the wonderful inspiration from the Design Team. The black is so striking with the Coastal Cabana! Beautiful card! Love the added sequin sparkle! This is so pretty! And I second what Linda said above – black and Coastal Cabana are a match made in heaven. I had a feeling that you would like the layers on this card! LOL! You have an excellent way of combining black, white, and one other color into a fabulous design and this one is no exception! This is your happy place for a sketch and you do not disappoint!! What a beautiful card!! The colors, the flowers….so pretty! Oh, this is such a great card! 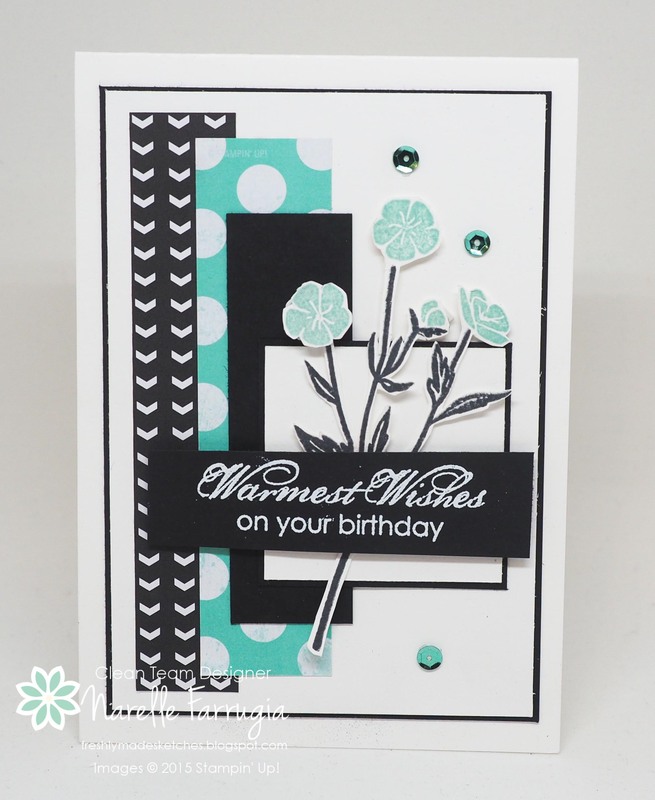 I love the paper choices and those gorgeous flowers! Oh and sequins too! Love it!!! !